October has been an eventful month in the Kansas City Learning Center. We welcomed back 13 Fairfax kids to start a new year of programming. Fairfax is an alternative high school and has partnered with HALO for two years. As a background for our readers, all of Fairfax classes are online, and in the past, most of the students struggled to pass their art credit. 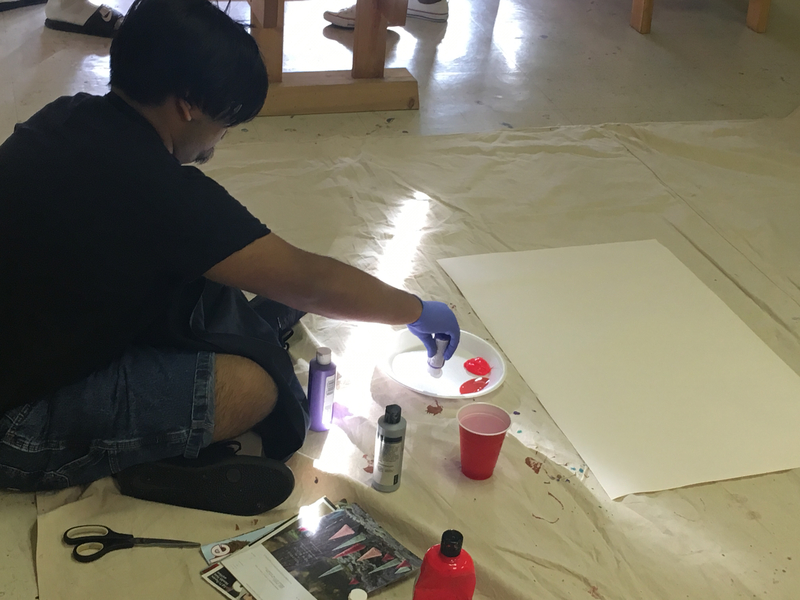 Two years ago, the Fairfax school counselor approached HALO to serve as a half a credit of art and since then, over 20 kids who participated in HALO have graduated. 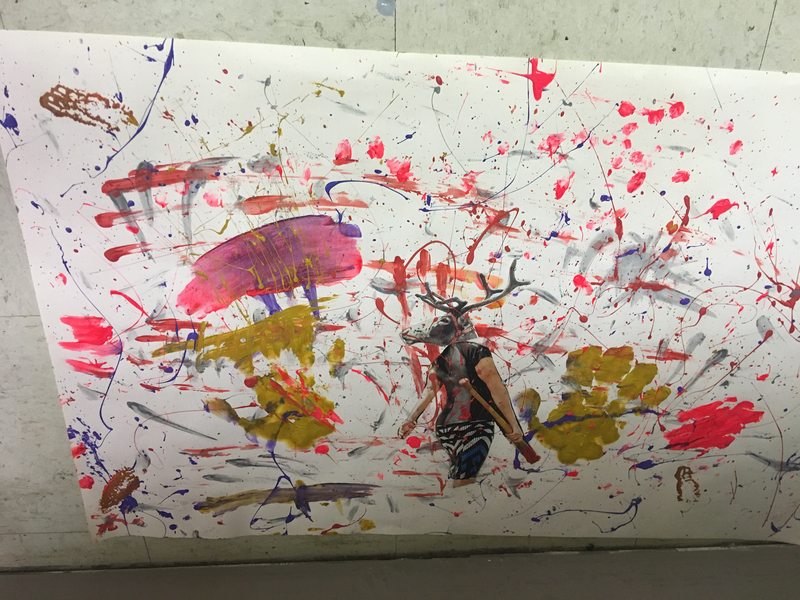 We started the new school year with drip paintings to introduce them to abstract expressionism. It was the first time to paint for many of the kids. They all took different approaches, some using their hands, some throwing the paint, or others working from the floor. They even got creative and fashioned trash bags into shoes and ponchos to protect their clothes. 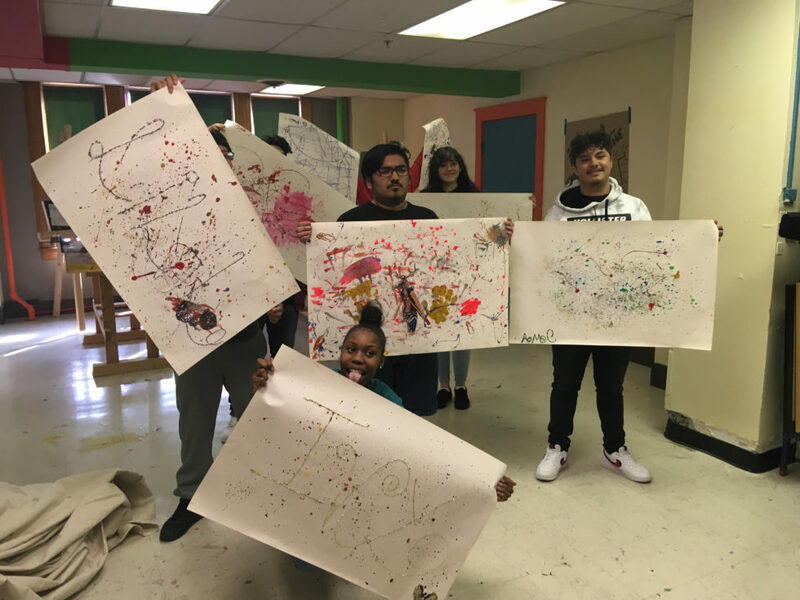 Not only do our HALO Fairfax kids get an art education credit to help them graduate, but they get breakfast. For many of the kids, they won’t eat during this most important time of day without it. If you are interested in helping to provide breakfast, please sign up on our meal train. We also had our first experience with Virtual Reality. 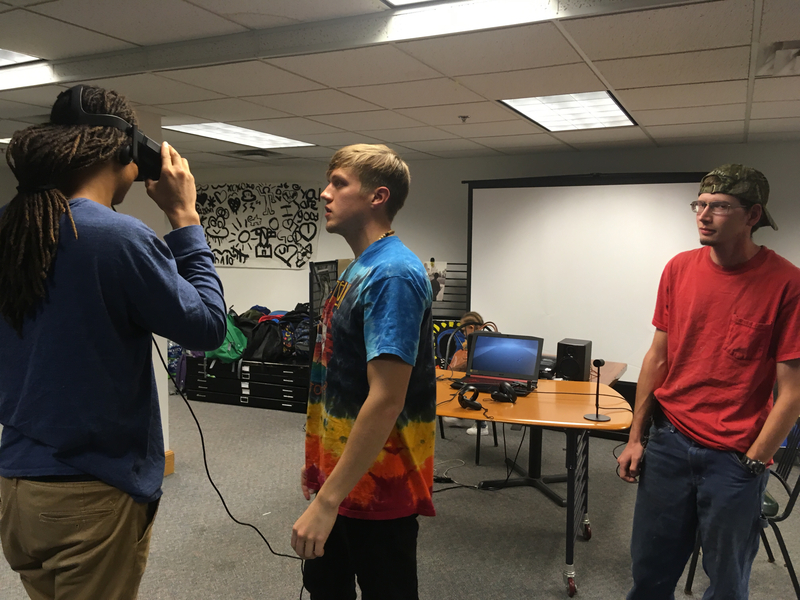 Creighton Pyles is interested in how Virtual Reality Systems can be a therapeutic tool. His background is in building software for psychology purposes. HALO youth Oscar and Noah agreed to help him experiment with the technology. They were able to try out the Virtual Reality equipment and share their experiences as homeless youth with Creighton. Oscar and Noah gave Creighton their feedback and ideas on how VR would be a good tool for them to get therapeutic help. The three of them will continue working together create their own VR set up and continue developing the idea. HALO provides the foundation of a family, which means setting up our kids for a successful future. One way we do this is through our Professional Development workshops. The theme of one workshop was stress management. 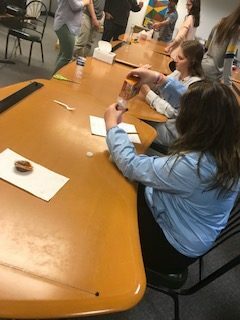 Our kids identified healthy ways to cope with stress and made their own stress balls. We also addressed a common stressor in everyone's life: preparing for a job. They learned skills to equip them for success, such as how to put together a resume, preparing for an interview, and the proper handshake. Our volunteers helped everyone put together a personalized resume tailored to their skills. It was so great seeing the kids become more confident in themselves as they became more comfortable with the tasks assigned to them. Want to get more involved in HALO? Check out upcoming volunteer meetings here.